How do you remember to reply to someone on email? Do you find yourself forgetting? The trick I do is hit reply on my phone to start a response, hit cancel and then save as draft. Then I go back later when I am ready and complete the drafts. Then I send them all at once. I have heard other friends use flags and go back. I tried this method too but the draft box method has worked best for me. How do you not forget? Do you respond immediately? How many email subscriptions are you signed up for? If you are like me, you may sign up for one and then forget. Now there is a service called Unroll Me that allows you to see a list of all your subscription emails. When you sign up, you can unsubscribe instantly from whatever you don’t want. Toss the junk with one click. Promote things you care about and make a better use of your emails. WiseStamp creates the best email signatures. The site will enable you to make mail signatures with most email source providers (ESP)s like Gmail, Yahoo and Hotmail. The site features templates and apps you can choose from to spruce up your email signatures. Choose from social to business apps that will add panache to your signatures. The site says, “Dynamic Email Apps to bring that extra professional look-and-feel to your email signatures and make them work for you! Show your latest blog post, the items you sell on Etsy or eBay and many more from the variety of Business Email Apps!” I tried WiseStamp and I liked how it seamlessly added a toolbar to my ESP. Thanks to CIA Mike for the lead. I discovered this site the other day called Five Sentences. The idea of the site is to shorten all your email communication by pledging to keep all email responses regardless of recipient or subject to five sentences or less. How do you craft your email messages? Do you use your email messages to start a conversations or memorialize them? Do you summarize your thoughts briefly? As our society moves further into using our Smart Phones as the single-source of communication, almost everything we write will become digital shorthand. I usually create all my emails with quick summaries and brief bullet points. Do you think you could join the digital shorthand revolution? A recent Nielsen report proclaims the declining use of email and the emergence of social networking. Neilsen breaks down their activities of the Internet into five categories: search, software, blogging, email and portals. Blogging aka microblogging/social networking (Facebook and Twiiter) is now the fourth most popular activity on the web. 86% use search like Google, 85% explore portals like Yahoo, 76% use software like Turbotax, 66% blog like on Facebook and 65% write email as with Hotmail. This study was based on a worldwide study with Europe and the United States as majority users. Another surprising fact is one in every 11 minutes online globally is accounted for by social network and blogging sites. Are you in shock over this statistic or does this reflect your online activity? Bloggers are you looking for another way to connect to your audience? Feed Blitz will turn your blog post into email format. It creates a managed and legal email list. An ad free version starts at $10 a month. The interface of Feed Blitz is not the greatest, but it does track clicks, opens and other email metrics. Has anyone ever used this service professionally, is the ad free version worth it? Last week Alaskan Governor and Republican Vice Presidential Candidate Sarah Palin’s Yahoo email account was deliberately hacked. The offender’s took screenshots of her email inbox and posted them for the world to see. Besides the fact a government official shouldn’t be using a free public email service to hold classified federal documents, a normal consumer can take precautions so it doesn’t happen to you. 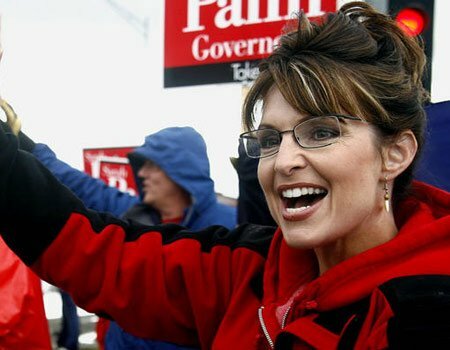 How did the hackers get into Governor Palin’s Yahoo email? Yahoo asks a series of security questions to reset your password. These security questions you can choose, however most of them are generic such as, “What city were you born in?”. The answers to all the security questions could be discovered with a simple Google search. Thus, you must pay attention to your email security settings. Do you have any tips to keep your passwords safe? Does your child get permission before they receive an email? A friend of mine was talking about how her 8 year old daughter receives emails from the American Girl website. She was impressed that when the American doll company prompts children to sign up for their newsletter, they ask for the parent’s email address. Then as a parent you have the discretion to decide what your child should see. What a concept! Children are becoming more and more computer literate perhaps more than their parents; however with logical steps, like prompting children for a parent’s email, safety can be achieved. Now of course, your child could always open a free Hotmail account and go around your supervision; however knowing is half the battle.